The first step in the claim process is to evaluate whether you (or a loved one) might have a valid medical negligence case of sufficiently substantial value to merit pursuing a claim. In order to do this, we gather certain background information from you. We do this either by talking to you on the phone or by having you submit the online questionnaire on the left side of this page. If you prefer, you can print the questionnaire, fill it out, and then mail or fax it back to us. If you would like to contact us by phone, e-mail, or fax, click here. We keep all information that you give us confidential (and are required by law to keep it confidential). Once we have this initial background information, we perform an initial screening evaluation. We may contact you with additional questions to gather some additional information. If, from the initial screening evaluation, we think that it would be difficult for you to establish a case of substantial merit with sufficiently substantial damages, we will let you know that. However, if we think that you might have a case of substantial merit with sufficiently substantial damages, then we take the next step, which is that you hire us as your attorneys on a contingency fee arrangement, and we then obtain relevant medical records and have a medical professional (or several medical professionals, depending on the case) review those records to see if medical negligence occurred. You hire us by signing an Attorney Fee Agreement with us. We work on a contingency fee basis, meaning that if there is no recovery, we don’t get paid any attorney fees. For a detailed explanation of how we get paid attorney fees and how court costs and other litigation expenses are paid, click here. We obtain the relevant medical records by submitting a signed medical record authorization to the various healthcare providers. It usually takes a month or two to obtain the relevant medical records and have them reviewed by medical professionals (unless you already have copies of your medical records that you can provide to us). If, after reviewing the medical records and other information, our medical reviewer(s) tell us that they do not see any evidence of medical negligence, we will tell you and will provide you with a copy of the medical records so that you may have another lawyer (and his or her medical professionals) review the case, should you so desire. However, if we conclude that you have a case of substantial merit with significant damages, then we will notify you and will begin pursuing your case on your behalf, unless you instruct us otherwise. Assuming that the initial settlement discussions are fruitless, we begin the actual lawsuit by filing a complaint in state or federal court (the choice of which depends on certain jurisdictional and other considerations). A complaint is a legal document that describes the claim and asks the court to award relief. It starts the lawsuit. In a lawsuit, you are called the “plaintiff” and the target healthcare providers are called the “defendants.” If we believe that your case would benefit from being pursued in an arbitration forum rather than in superior court (which is relatively unusual but does happen on occasion), then along with the complaint we will also file an election to arbitrate (which we will not do unless you agree to it and which will be effective only if the target defendants also agree to arbitrate the case). Once the lawsuit is started, then the case workup phase occurs. During this phase, the parties (that is, you and the defendant healthcare providers), through their attorneys, gather information about each other’s cases. This is called discovery. For instance, the attorneys (on behalf of their respective clients) can send the other parties written questions (called interrogatories) that the other parties will have to answer under oath (with the help of their attorneys). 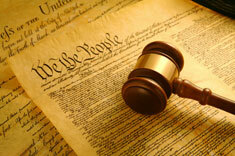 The attorneys can obtain documents from the other parties or from third parties who are not involved in the lawsuit. 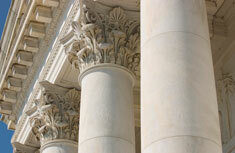 The attorneys can take the other parties’ depositions, as well as depositions of third parties. Depositions are proceedings where the attorneys ask a witness questions, and the witness answers under oath with his/her attorney present to protect his/her rights. Also during the workup phase, any appropriate investigation can be done. This is usually accomplished by online research and/or the attorney hiring an investigator. As the case gets closer to trial, the depositions of each side’s expert witnesses are taken. In addition, the parties (through their attorneys) can bring dispositive motions, which are procedural devices that try to end the lawsuit (or decide parts of it) before it even goes to trial. However, dispositive motions to end the lawsuit are usually not successful in medical malpractice cases (at least where the plaintiff’s attorney has retained the appropriate expert witnesses), and so the case usually continues towards a trial date. If a case does not settle, then trial is usually had somewhere between 12 and 24 months after the complaint was filed, sometimes more and sometimes less, depending on the particular county in which your case was filed and certain other factors. Because we are careful to only take cases of substantial merit, the great majority of cases that we handle are resolved by settlement before they actually go to trial. A settlement is where you voluntarily agree with the defendants to end the lawsuit in exchange for payment of money by the defendants to you. This can happen at any stage of the lawsuit, and we work with the defense attorneys throughout the lawsuit to see if the defendants have any interest in attempting to settle the case. In our experience, settlement most often happens fairly close to trial, after substantial discovery has been taken. The way that settlement happens is that one side makes an offer, and then the two sides negotiate. In medical malpractice cases, the parties are required to mediate the matter. A mediation is simply an informal conference where a neutral person (called a “mediator,” who usually is an attorney or retired judge) tries to get the parties to agree to settle the case. The mediation usually takes place at the mediator’s offices. The parties attend, along with their attorneys. The parties do not have to sit in the same room or even see each other, if they prefer not to. The parties do not have to agree to settle the case. If they don’t agree to settle, then the case proceeds on to trial. However, even if the case does not settle at mediation, the parties can always later re-engage in negotiations and settle the case closer to trial, which not infrequently happens. For each offer made at the mediation or during any other settlement negotiations, we will tell you what amount you would “net” after the payment of attorney fees, litigation expenses, and any liens, so that you will know what amount you would be able to put in your pocket if you decide to settle. We of course will advise you as to what we think is a fair and reasonable settlement amount, but you always have the power to either settle for less than we recommend or hold out for more. Although the great majority of cases that we have handled have been resolved by settlement, we always assume that the case will not settle and prepare accordingly. If the case does go to trial, it will be had at the courthouse. You will attend with us at the trial. Trial of a medical malpractice lawsuit usually takes between 1-2 weeks, sometimes a bit less and sometimes a bit longer. The trial is had at the courthouse (the county courthouse, if the case was filed in state court, and the federal courthouse, if the case was filed in federal court). The trial is conducted by a judge, who sits as the finder of law. This means that the judge decides what law applies to the case (including what jury instructions will be read to the jury at the conclusion of the trial), what evidence is admissible or inadmissible, and certain other procedural matters relating to how the trial is conducted. All parties have the right to have a jury sit as the finder of fact. The finder of fact (or factfinder) decides the factual issues in the lawsuit. For instance, in a traffic accident case, the factfinder decides whether the driver was negligent and caused the accident in question, and if so, how much money should be awarded to the injured person as compensation for that negligence. In a medical malpractice case, the factfinder decides whether the doctor (or other healthcare provider) was negligent and, if so, whether that negligence is what caused the patient’s injuries. If the factfinder finds that the doctor was negligent and the negligence caused the patient’s injuries, then the factfinder also decides what the damages are, that is, the amount of money that should be awarded to compensate the injured patient for his/her injuries. Although the parties have a right to a jury trial, they can, by agreement, waive that right and have the judge serve as both the finder of law and the finder of fact. However, the defense rarely waives the right to a jury trial, because studies show that juries generally are biased in favor of physician defendants, whereas judges generally are not. (See (a) Baker, T. The Medical Malpractice Myth. Univ. of Chicago Press; 2005, at pp. 70-77, and research cited therein; (b) Glauser J. Are juries biased towards physician defendants? Emergency Med News; 2007;29(10):14, and research cited therein.) A jury usually is composed of 12 people, although in Washington and under certain circumstances it can be composed of 6, and by stipulation of the parties it can be as few as 3. At some point either fairly shortly before the trial starts or on the first day of trial, the judge hears “motions in limine.” (“In limine” is Latin for at the threshold – thus, “motions in limine” means motions at the threshold of trial.) In general, a motion in limine is where an attorney asks the judge to rule that certain evidence is not admissible at trial, and to instruct the opposing party not to try to put the evidence on or even mention it in front of the jury. An example is insurance coverage for doctors. Virtually every doctor has malpractice insurance or some similar form of protection (like an agreement by the doctor’s employer to indemnify the doctor for any settlement or judgment against the doctor, which we’ll also call insurance, since it does the same thing). Indeed, we have never encountered a case where a doctor has not had insurance. Yet, usually the plaintiff cannot tell the jury that the defendant doctor has malpractice insurance. The reason is that the courts are concerned that juries will be more likely to find for the plaintiff and award significant damages if they know that the doctor has insurance. So, the defense lawyer always moves in limine to keep out evidence that the doctor has malpractice insurance. The plaintiff is not able to even mention that the doctor might have insurance. Other examples of motions in limine include things that might be potentially embarrassing to one or the other parties but which don’t really relate to the issues in the lawsuit. For example, assume that the plaintiff in a medical malpractice lawsuit is a member of the American Nazi Party. Most Americans abhor the American Nazi Party and what it stands for. So, if the defense were allowed to introduce into evidence the fact that the plaintiff was a member of the American Nazi Party, then the jury might be more likely to find against the plaintiff, even if the plaintiff’s case of medical malpractice was strong. Thus, the plaintiff’s lawyer would make a motion in limine to keep that evidence out (since it really has nothing to do with the merits of the case). Although many motions in limine are used to secure a ruling that certain evidence is inadmissible, in appropriate situations, motions in limine can also be used to secure a ruling that certain evidence is admissible. On the first day of trial, a jury is selected. The process starts when a group of potential jurors (many more than 12) are called from the jury pool (also known as the venire) to sit in the courtroom where the particular case will be heard. The potential jurors are questioned by the attorneys for the parties (and at times by the judge) in a process called voir dire (which is French for, to speak the truth). Some of the potential jurors will be struck for cause. This happens when some reason surfaces as to why the potential juror likely would not be fair and impartial (for example, if a potential juror is the spouse or parent of one of the parties, then he/she likely would not be fair and impartial and would be struck for cause). Other potential jurors will be the subject of a peremptory challenge. This is where any one of the attorneys can have the potential juror struck without revealing any reason why (with certain limited exceptions). However, each side has only 3 peremptory challenges. In any event, when the voir dire process is completed, there will be 12 jurors who have been selected and perhaps one or several alternate jurors (in case at some point during the trial one of the 12 jurors cannot carry on for any reason). Next, the actual trial starts. The judge usually will give the jury some preliminary instructions and guidance as to what to expect and how to behave during the trial (for example, during the trial, jurors are not allowed to converse with the attorneys or the parties, they are not allowed to perform their own independent research, they are not allowed to consider evidence outside of what was introduced at trial, etc.). After the preliminary instructions, the attorney for each side is allowed to give an opening statement. An opening statement is where the attorney tells the jury what the evidence will be, from the attorney’s perspective. The plaintiff’s attorney goes first, and then the defense attorney goes next. Next, the attorney for the plaintiff presents the plaintiff’s case-in-chief. This is where the plaintiff’s attorney calls witnesses and adduces documents and other evidence in order to prove the plaintiff’s case. (Adduce means to offer into evidence.) When the plaintiff’s attorney calls a witness, the witness is sworn in and takes a seat in the witness stand. The plaintiff’s lawyer then asks the witness questions (called direct examination). Then, the defense attorney asks the witness questions (called cross-examination). Under certain circumstances, the plaintiff’s lawyer can ask some more questions (called redirect examination) and at times the defense then can ask more questions (called recross-examination). When the attorneys have finished asking the witness questions, then the jury may submit to the judge any questions that it would like the witness to answer. The judge may ask the question either as written by the jury or as reformulated by the judge, or the judge might not ask the question, depending on whether the question is a proper one under the rules of evidence and other considerations. The judge may also ask the witness some questions. Then the witness usually is excused, and the plaintiff’s lawyer goes on to his or her next witness. When the plaintiff’s lawyer has finished calling all of his or her witnesses and adducing all of his or her documents and other evidence, then the plaintiff has finished putting on his/her case-in-chief. At that point, it is the defense attorney’s turn to put on the defense case-in-chief (or defense case). The defense does this by calling witnesses and adducing documents and other evidence, like the plaintiff did on his/her case-in-chief. Examination of defense witnesses takes place the same way as on the plaintiff’s case-in-chief, except that it is the defense attorney who starts off the questioning of each witness. When the defense has finished putting on its defense case, the plaintiff can, under certain circumstances, call some more witnesses and adduce more documents and evidence (called rebuttal case). At the conclusion of any rebuttal case, the defense, under certain circumstances, can put on a surrebuttal case. Although it is not unusual for a rebuttal case to be put on, surrebuttals happen less often. After the parties have put on their respective cases, the judge will read to the jury the jury instructions. Jury instructions are short statements of the law meant to give the jury guidance in its deliberations. It is the jury’s duty to decide factual issues. In a medical malpractice case, these will include (1) whether the doctor or other health care provider was negligent; (2) if there was negligence, whether the negligence was a cause of the plaintiff’s injuries; and (3) if the negligence was a cause of the plaintiff’s injuries, the amount of damages (that is, the amount of money that would fairly compensate the plaintiff for his/her injuries). Unlike a criminal trial where the prosecution must prove guilt beyond a reasonable doubt, the plaintiff in a civil case like a medical malpractice lawsuit needs only to prove his or her case by a preponderance of the evidence. Preponderance of the evidence simply means “more probably true than not true.” (See Washington Pattern Jury Instruction – Civil, 21.01.) The oft-used metaphor is a teeter-totter or a scale. Even if it is a really close case in the jurors’ minds, so long as the jury believes that the plaintiff’s case is even slightly more probably true than not true, then the plaintiff wins. Otherwise, the defendant wins. Unlike in criminal cases where the jury must reach a unanimous decision (that is, 12 out of 12), in a civil case (like a medical malpractice case) 10 out of 12 jurors is sufficient to constitute a decision by the jury. After the jury instructions are read, then the attorney for the plaintiff makes a closing argument, where he or she summarizes the evidence and the reasons why the plaintiff should win the lawsuit. Then, the defense attorney makes his or her closing argument and sets out his or her reasons why the defense should win the case. The plaintiff’s attorney then presents a brief rebuttal argument to the defense closing argument. • Deliberation, Verdict, and Judgment. After closing arguments, the jury retires to the jury room and deliberates. The written jury instructions and certain of the exhibits received into evidence go to the jury room during deliberations. In Washington, jurors are allowed to take notes during trial and to keep their notes with them during deliberations. When the jury has reached a decision (called a verdict), they inform the judge, who then informs the parties. At that point, from the jury’s perspective, the trial is over and the jury is excused (there may be more activities that take place, but the jury has no part in those). Ultimately, the judge enters a judgment in favor of one party or the other. At times, the judgment is appealed by one or both parties, but if so, the judgment of the trial court usually is upheld on appeal.